Earlier this year, the company partnered with the Seattle nonprofit Mary's Place to build a permanent homeless shelter in its headquarters. It previously helped the nonprofit temporarily house 200 homeless people. Since March 2016, Amazon customers have also been able to order items from the Mary's Place's wishlist on the site, such as diapers and socks. In 2016, Bezos was asked if he planned to pursue philanthropy like Gates has. Bezos responded: "Yeah, if there's anything left after I finish building Blue Origin." I'd raise that starting wage of $9 an hour so your warehouse employees can afford a roof over their heads. 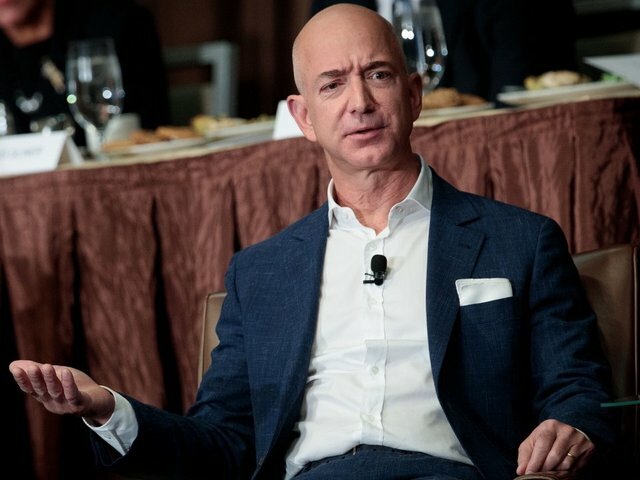 What does Amazon pay their employees? How much does Amazon warehouse jobs pay? Amazon Amazon Warehouse Worker Hourly Pay. The typical Amazon Amazon Warehouse Worker salary is $12. Amazon Warehouse Worker salaries at Amazon can range from $9 - $17. Search for: How much does Amazon warehouse jobs pay? In Washington, D.C., a 2017 report by the Washington Council of Governments says that 22 percent of homeless single adults and 25 percent of adults in homeless families are employed. Arianna Fishman of New York’s Department of Homeless Services told Axios that around 70 percent of the city’s 60,000 people living in homeless shelters are families—and 34 percent of those families include a working adult. Working Homeless Population Grows in Cities Across the U.S.
How much does Amazon pay an hour?